At BrandLoom Consulting we believe in the power of Agile & connected Brands – AnyWhere Brands. AnyWhere Brands connect with stakeholders (consumers, channel partners, society, shareholders and Government) when they want and where they want. We call such evolved brands AnyWhere Brand. We define AnyWhere Brands as those which ensure consistent, high quality and unique customer experience regardless of how and where a customer chooses to interact with the brand or organisation, and no matter the purpose. Such brands consider consumer interaction to be continuous. For us at BrandLoom Consulting the traditional definition of brand (A Brand is a set of associations linked to a name, term, design, symbol associated with a product or service) is outdated and needs evolution in the ever-connected world. In the field of marketing, brands originated in the nineteenth century with the advent of packaged goods. The first registered brand was the red triangle registered by Bass beer, as the British were the first to introduce a law for trade mark registration. Industrialization moved the production of household items, such as soap, from local communities to centralized factories. Around 1900, James Walter Thompson published a house advert explaining trademark advertising, in an early commercial description of what now is known as ‘branding’. Soon, companies adopted slogans, mascots, and jingles that were heard on radio and seen in early television. By the 1940s, Mildred Pierce manufacturers recognized how customers were developing relationships with their brands in the social, psychological, and anthropological senses. From that, manufacturers quickly learned to associate other kinds of brand values, such as youthfulness, fun, and luxury, with their products. Thus began the practice of ‘branding’, wherein the customer buys the brand rather than the product. The bottom line is that Brands provide important benefits to both consumers and firms. Firms provide the impetus for brand creation through their offering, marketing programs and other activities. A brand is a perceptual entity that is rooted in reality, but it is also more than that, reflecting the perceptions and idiosyncrasies of consumers. Needless to say “a brand resides in the minds of consumers”. Needless to say over the years Brands have been instrumental in shaping the future of Businesses. Over the years companies have taken several strategic marketing steps to brand their products to ensure future profitability and sustenance of business. To brand a product companies taught each consumers “who” the brands is by giving it a name and other identification elements, “what” the brand does and “why” consumers should care. Brand differences were often related to attributes or benefits of the product itself or in many successful cases they were related to more intangibles image considerations. With the evolution of Internet, consumer has experienced the never before power of knowledge and they are still graduating to the transparent & better known world. Today they are not shy of googling to find what are the nuances of certain ingredient in their soap or which is the best doctor for certain ailment they are having. At the same time with evolution of Omni-Channel retail consumer is interacting with brands at several places and in multiple ways carrying away several perceptions. Omni comes from the word Omnis which mean all or universal and channel denotes means to sell products to consumers. Omni-Channel is the evolution of multi-channel retailing and concentrates on seamless approach to the consumer experience through all available retailing channels, i.e. Brand outlets, mom & pop stores, internet, mobile devices, television, radio, direct mail, catalog etc. Needless to say that the lines between online and offline are blurring. In MIT’s recent report “Beyond the Checkout Cart” it is mentioned that the Omni-Channel consumer is the central force shaping the future of eCommerce and brick-and-mortar stores alike. These consumers are becoming increasingly sophisticated, channel agnostics and expert of transacting with a Startup / Brand anywhere i.e. of AnyWhere Commerce. AnyWhere Commerce is the process where a brand ensure consistent, high quality and unique customer buying experience regardless of how and where a customer chooses to buy/avail the a product/service. The overall buying cycle may not follow the usually documented process (AIDA) but a much shorter one enabled by consistent information by a Brand. Marketers who would like to indulge their consumers in AnyWhere Commerce needs to develop agile management skills and consistency of communication across the organisation. Yester-years brands with their huge residual equity have been staying afloat in this ever-connected world, however more and more of them are facing the consumer or channel backlash. Their problem is being aggravated by emerging startups from nowhere with disruptive business models. This situation is forcing Startups and Brands to become agile and ensure customer experience is flawless and delightful. Therefore it has become imperative for brands and retailers to better align their business operating models with consumer expectations and become adapt at managing consumer interaction when they want, where they want. At BrandLoom Consulting we believe in the power of Agile & connected Brands, who connect with stakeholders (consumers, channel partners, society, shareholders and Government) when they want and where they want. We call such evolved brands, AnyWhere Brand. Every Startup or a Brand is unique due to their business model, their people, their background. Therefore, their challenges are also unique and hence there can never be one kind of strategic branding approach. 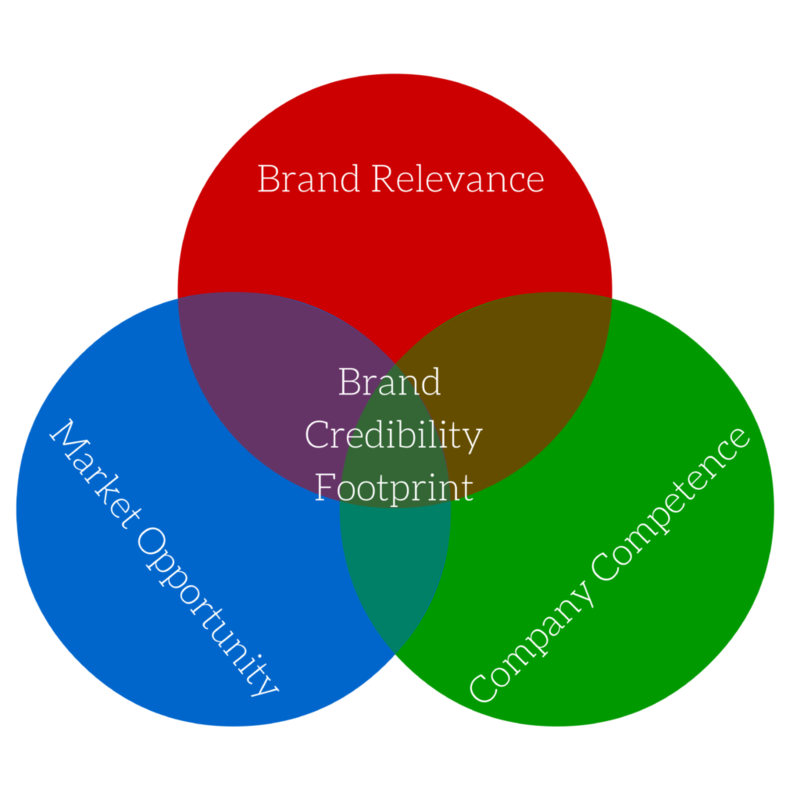 BrandLoom Consulting believes in delivering results and that is why when we start the first analysis we do on every brand is Brand Credibility Footprint. BrandLoom Consulting supports its customers to become an AnyWhere Brand with Credibility FootPrint in the marketplace. Our services will enable you to provide Delightful Customer Experience by creating synergy across multiple channels or touchpoints. Even as online and mobile engagement grows, consumers who have the opportunity to interact over multiple channels during the research, evaluation and purchase cycle, tend to allocate a greater share of their wallet to such experiences.